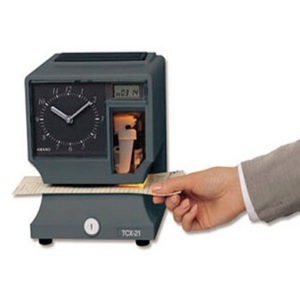 Employees can punch, transfer, view hours and schedule, etc. 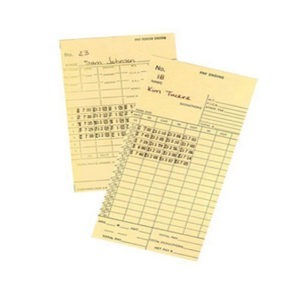 Supervisors can edit time cards, schedules, and run reports etc. 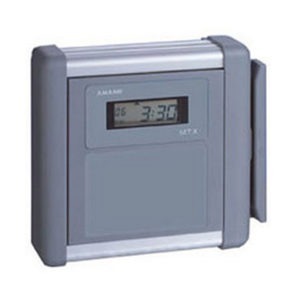 Comprehensive rounding rules: The most comprehensive rounding features in the industry allow users to round employees’ punches by the punch, day, pay period, and by transfer pair – another industry first from Amano, the time management leaders. One Time Holiday Configuration: Plain English holiday rules allow users to define any holiday imaginable. With Time Guardian Pro’s innovative holiday configuration, you enter your company’s criteria and your holidays are automatically calculated annually — an industry first! Employee Maintenance: Setting up new employees is a snap. Import a picture, assign a supervisor, record personal information, and maintain certifications, all in just a few seconds. Instant messaging: A real time interface with configurable alerts notifies the administrator of exceptions. 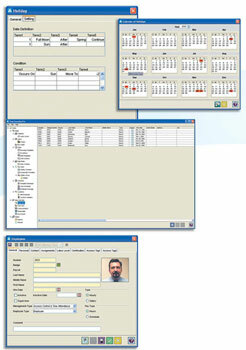 The Instant Messaging (IM) tool also enables PC-based punching. 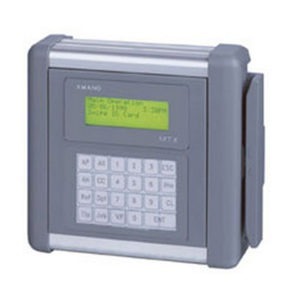 For those to whom security is a priority, when using Time Guardian Pro with an Amano access control product, you can assign the badge and validate the readers with the click of a button. 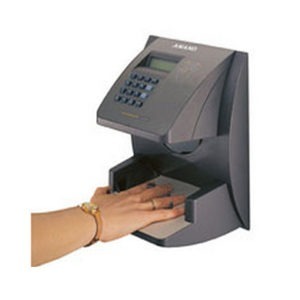 Manage employee security and time management from a single program! 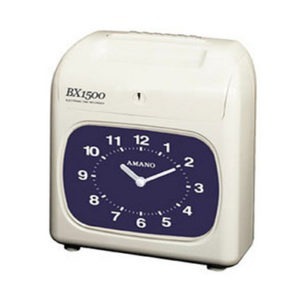 The most comprehensive single-screen collection of time and attendance data available in a time and attendance product. All information is fully customizable. 1. Indicators for quick reference. 2. Scrolling arrows for quick edits. 3. Color coding of exceptions gives quick visual confirmation of an occurrence. override of a rounding rule. 7. Add comments to remember important event information. 8. 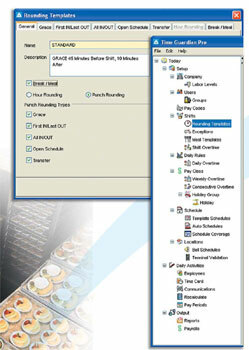 Employee drop down selection list makes finding an employee effortless. out certain groups of employees. 10. Daily totals section for quick reference. 11. “Actual” .vs “Rounded” tool allows you to see the results of programmed rounding rules to take the guesswork out of rounding. for changes “on-the-fly”. Keeps scheduling flexible. 13. View exceptions as they occur. 15. Pay period totals section for quick reference. 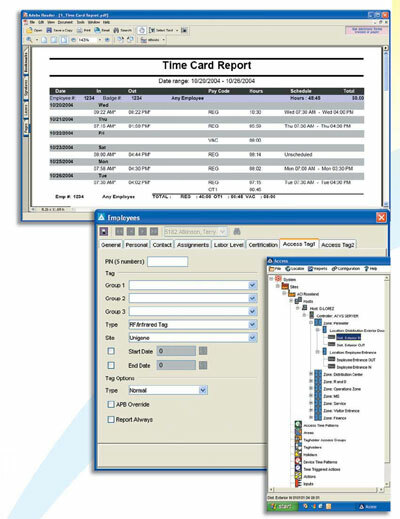 Time Guardian Pro’s report center allows you to create unlimited report templates. Choose from standard reports, then customize with additional reporting, as needed. Reports are generated in Adobe Acrobat, or Excel so you can view and distribute them to others with ease. PC punch utilizing the instant messaging tool.an industry first! 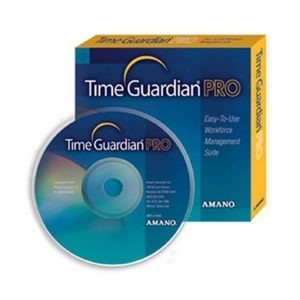 The first of its kind — Time Guardian Pro provides full integration with Amano’s award- winning access control product line. 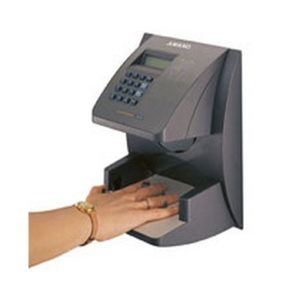 Save time by entering employee data one time in a single place. 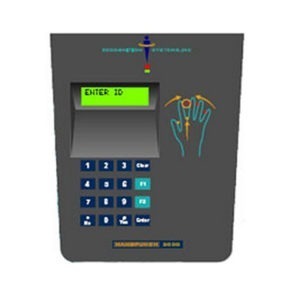 Access control readers are updated instantaneously for immediate use! Full feature, scalable, menu driven terminal for many applications. 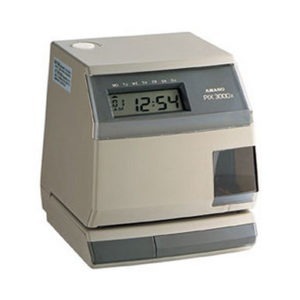 From basic time and attendance to job costing, this terminal does it all. 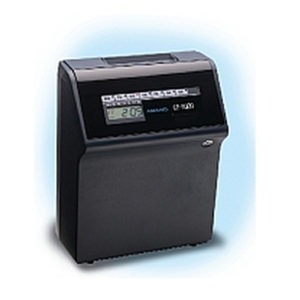 have standard 512 user capacity. The 3000 and 4000 are upgradeable. 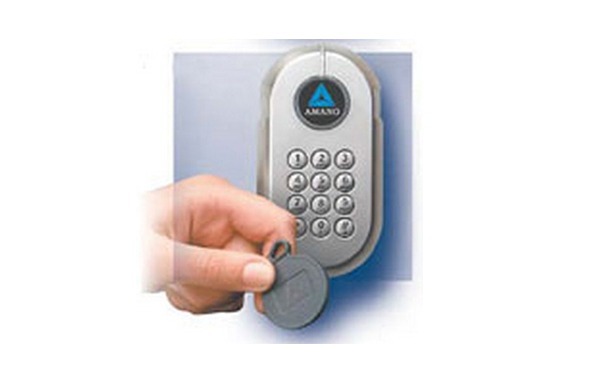 Combined with Amano access control products, entry & exit readers can be designated as time & attendance terminals. Easy navigation using a tree structure — no complicated menus. 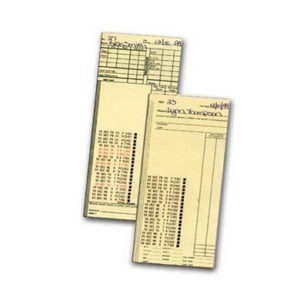 Each module contains “Quick Reference”lists for fast viewing. Large icons strategically placed throughout the product. Powerful, innovative set-up wizard guides the user through most configuration options, delivering detailed descriptions, so the user can navigate effortlessly without the need for manuals or online help. Editing screen allows users to fully customize its appearance with special colors and the ability to resize or hide fields as needed. 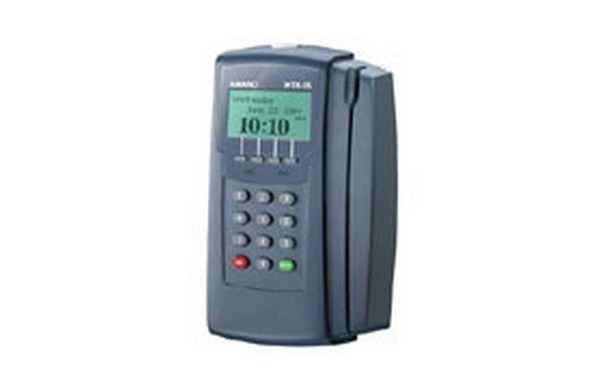 Multiple communications options include serial, modem and Ethernet connectivity. 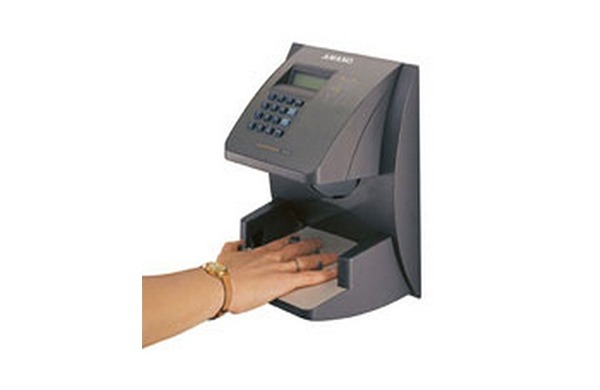 Amano’s new MTX-15 data collection terminal offers all-new function keys and key pad, delivering superior performance at an economical price. 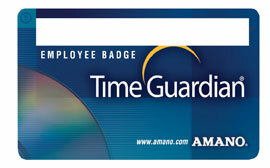 Time Guardian Pro integrates easily with Amano’s AXP-200 and AmanoNet access control solution. 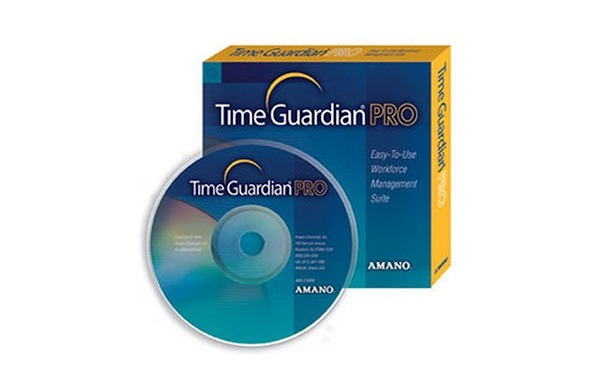 Current Amano TruTime and TimeGuardian customers can upgrade to Time Guardian Pro without losing any punch data, while maintaining the use of existing data collection hardware. Utilizes full-feature SQL database with no licensing fees.